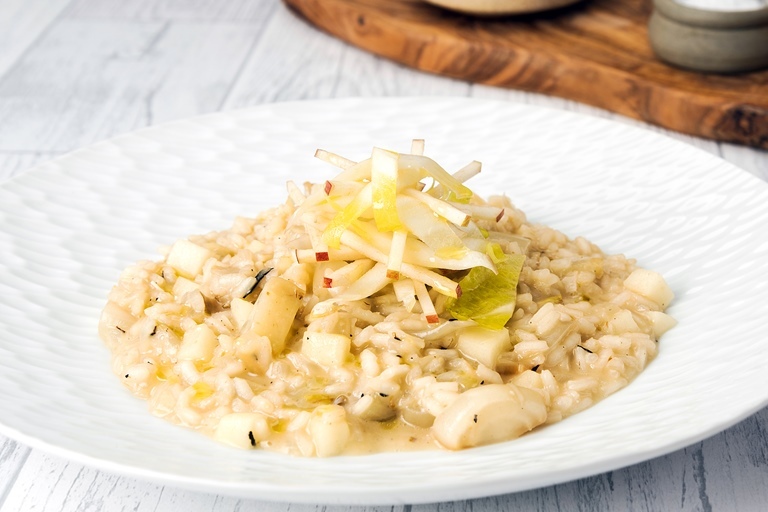 This stunning apple risotto recipe is infused with lovely caramelised chicory and plenty of Parmesan for a super-autumnal flavour. Slice the remaining chicory leaves thinly and toss with the apple. 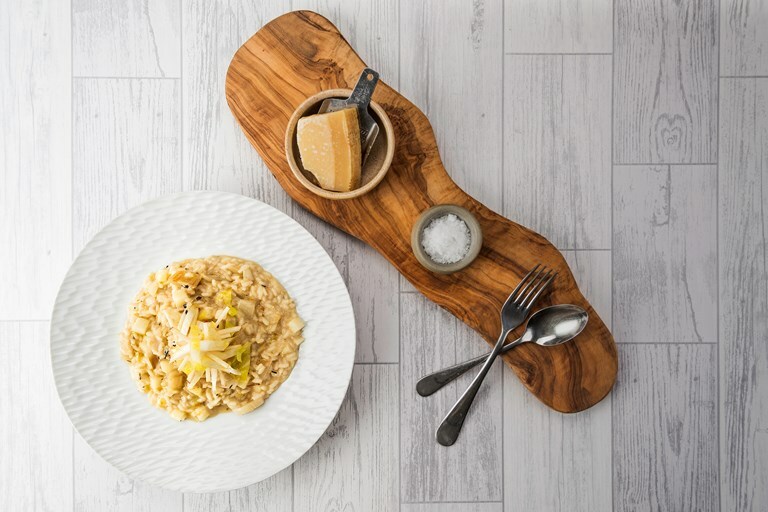 Season and dress with the remaining vinaigrette.